Rivalry esports betting is a dedicated esports bookmaker that is among the new names in the industry. It is licensed by the Isle of Man Gambling Supervision Commission and allows esports enthusiasts to place bets in a match on a variety of in-game events and outcomes. Rivalry offers esports betting on CS:GO, DOTA 2, League of Legends, StarCraft, Overwatch, Hearthstone and Call of Duty. With a recent announcement by the company, we’ve come to know that Rivalry has launched live, in-play betting. Live betting is currently one of the most engaging events in esports gambling. But with a new bookmaker, you should always look very carefully before making any deposits. In our Rivalry.gg esports betting review, we take a closer look at the reliability of the bookmaker and compare it against important criteria of security, type of odds, bonuses, support, etc. Rivalry offers esports betting for only seven popular game titles as mentioned above. Although these titles are the most popular ones, it is not uncommon to see major bookmakers providing odds for games such as PUBG, World of Tanks, Fortnite, Clash Royale, Rainbow Six, etc. However, with focus on a smaller number of esports, Rivalry provides a variety of different matches in abundance. Players can find a chance to place several bets per day. Especially at big tournaments or leagues, the bookmaker offers almost every match or game. 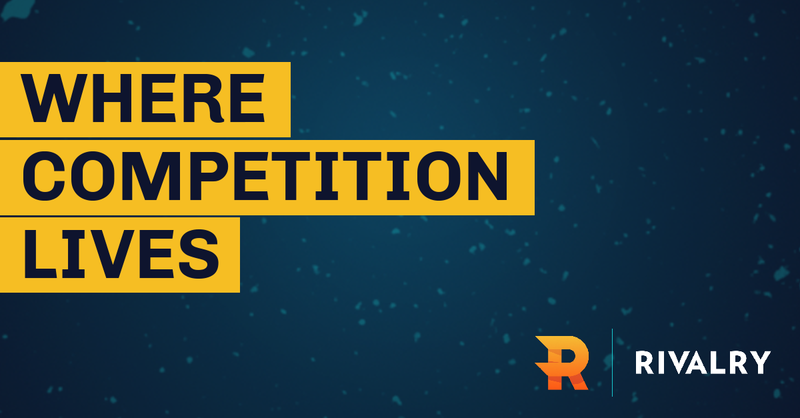 Unlike other betting operators, Rivalry esports does not advertise with a deposit bonus but rather relies on a VIP program that gradually adds bonus credits to the betting account. In the program, a higher level makes it more difficult to unlock the remaining bonuses, which also means a bigger bonus reward is waiting for more experienced players. New players can earn up to $350 in bonus using the VIP program. Online punters who are always on a hunt for higher odds have a betting account with several esports sites. Such bettors will not be able to avoid Rivalry as it offers higher quota, often more than its peer. If you go on looking for a separate page for live betting, you will quickly notice that it does not exist! However, with just two clicks, you can watch a lot of live games. Live betting is always at the top of the list of games offered, and you can access it via the homepage. The bookmaker accepts the most popular means of payment, and although all the information is in dollars, deposits and withdrawals can be made in other currencies. The respective amount of deposit will be converted into the current dollar rate and credited to your account. Other than the traditional VISA and MasterCard, you can make deposits using e-wallets via Skrill, Neteller or EntroPay. Using e-wallets for payments gives you the advantage of immediate availability of the balance in your account. The website interface is available in English, Russian, Chinese, Korean, Portuguese and Spanish. 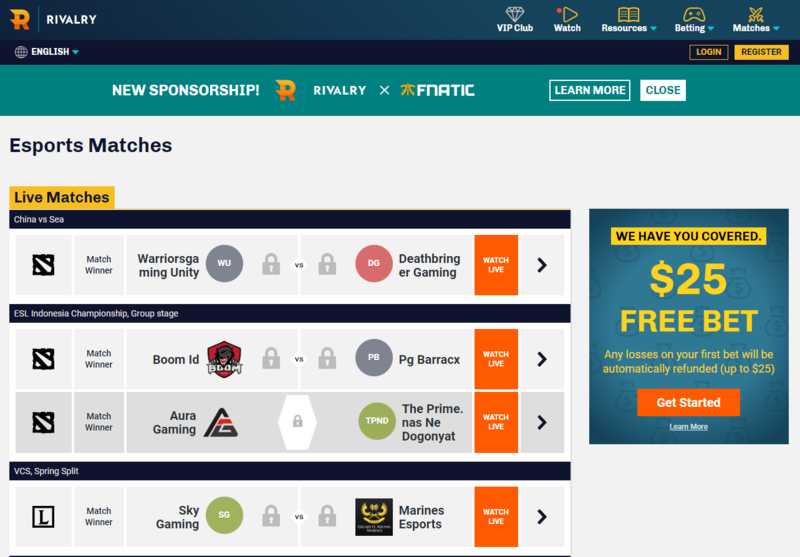 Rivalry esports betting site has a neat and tidy design which makes it easier for a new visitor to navigate. Its home page focuses on the latest esports news, so you can quickly find the latest developments and statistics. Lower on the homepage, you will have the current games and odds for your favourite game. Although there is no mobile app yet, you can visit their website using your smartphone browser. The bookmaker ensures a secure SSL data transfer so that no third party can access your personal data. The link to the website of the Esports Integrity Coalition can be found at the bottom of their homepage. Despite the poor reputation of the Isle of Men license, Rivalry makes a serious impression! Beginners can have questions as they move forward to register with the bookmaker. To answer them as quickly as possible, the customer service is available via live chat. For discussing your queries in details you can simply contact support via email ([email protected]). On the «Contact Us» page, you can find a phone number to speak to a Rivalry customer representative. What caught our attention is their super helpful FAQ section! It is very well developed and provides answers to almost everything you would want to know about the bookmaker. Rivalry aims to cater to the rapidly growing esports market by providing an engaging betting experience. It welcomes its customers with a neatly designed website and a vast FAQ segment. Although the bookmaker lacks a variety of games, it does offer higher bonuses and odds. It is clear that there this young player has much to develop in the coming years, but we can surely expect big things from Rivalry in the future.